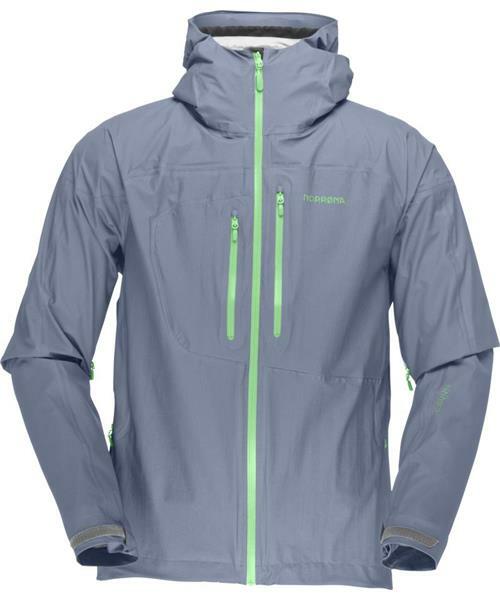 Norrona's lightest, waterproof hooded jacket is ideal for trail running, biking or trekking. Soft and breathable, with pit zips for effective under-arm ventilation. This jacket is also used for ski touring for people who really care about the lowest weight possible. Bitihorn Dri1 Jacket - Mens is rated 5.0 out of 5 by 1. Rated 5 out of 5 by Big Bob from compact, ultralite waterproof breathable shell inside laminate has a dry feel, not sticky. The outer fabric is ultralite. Love how small it rolls up in my pack. Never been wet yet. Go Vikings!